Henrietta Lowe was born in 1833, to James and Marie Lowe (nee Barnes). James Lowe was a visionary. He was an inventor and despite failures he had dreams of becoming something and someone. Lowe had worked as a mechanist and smoke jack maker and invented a screw propeller for ships. 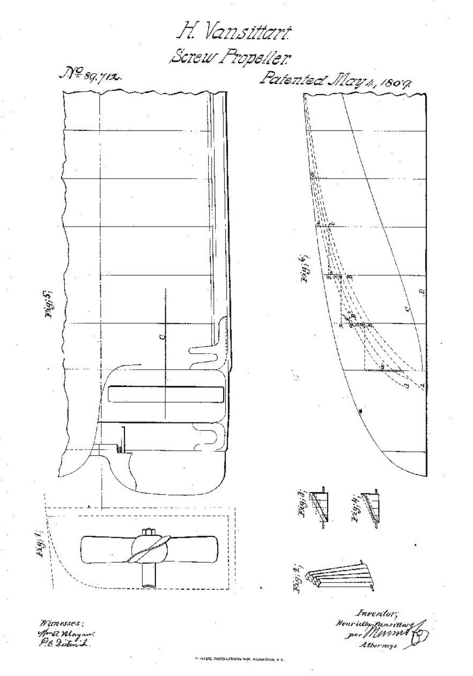 On 23 March 1838, he took out a patent for a new screw propeller which ensured his place in history, although not at the time. New inventions were taken to the Royal Navy weekly, and at this time there was very little money to be made from such things. But Lowe would not give up and he spent his wife's money on experiments and a succession of patents reducing the family to complete poverty by the early 1850's. Therefore, it might seem strange, that his daughter, Henrietta excelled herself to become a respected engineer and inventor in her own right, at a time when Victorian women should have been doing anything but science. She did not have the most fortunate of circumstances. Henrietta was the third daughter of six sisters and two brothers. Her mother's side of the family had connections with the Vanisttart and Lytton families and a relation of her fathers, Richard Lowe was protected by Lady Betty Seymour of Syon House. She had named him there and then sent him to Gnoll Castle in South Wales and put under protection there. He was put under protector of names of the warde, but it appears that he was defrauded of his rights given by Lady Seymour, as were his descendants and he was apprenticed to mechanical trades. Yet despite his wifes worth, James squandered her fortunes on his work. But despite the family being poor, Henrietta had connections with high status families, perhaps she was a social climber and had dreams of grandeur. By 1855 she had married a lieutenant in the 14th Dragoons, Frederick Vansittart who had been based at the British Embassy in Paris and who had been associated with her mothers side of the family. They were married at the embassy on 25th July 1855. Soon after they returned to England, and bought a house in Clarges Street, London, selling his commission so they could set up home here. But in 1859 Henrietta started an affair, which lasted 12 years with the novelist and politician, Edward Bulwer Lytton. Lytton was known to both the Vansittart and Barnes families and was 30 years her senior. He was a man of high status and Henrietta clearly had an effect on him. It was a well known affair, his marriage to writer Rosina Bulwer Lytton having ended unhappily. Yet this affair was perhaps not to Disrealis liking and he is said to have blamed Lyttons absences from the House of Commons on his association with Henrietta. When Lytton died on 18 January 1873, he left Henrietta £1200 in his will and unusually £300 to her husband. She returned to Frederick and lived in Richmond and Twickenham. Despite her fathers invention, his life was fraught with problems to do with the patent and he received no remuneration for his invention. There was a long litigation between 1842 and 1850 and Henrietta wrote vehemently to several publications defending her father and correcting misunderstandings over whose patent it was and that her father was left unrewarded and without Distinction. She won numerous awards for this improved propeller. She had articles written about her in the Times newspaper and she attended exhibitions all over the world. In 1869 the Naval and Military Intelligence reported in the London Evening Standard that ‘Mrs Vansittart has devoted herself to the task of working out the invention to a greater state of perfectness' and in 1871 she gained a 1st Class Diploma at the Kensington Exhibition. Between 1871 and 1881 she travelled to Dublin, Paris, Belgium, Naples and Australia and gained many 1st Class Diplomas, Silver and Gold Medals. These included a 1st class Diploma and medal in Dublin in 1872, First Class Diploma and Silver Medal in Paris in 1872 and First Award of Merit and Gold medal at the Adelaide Exhibition in 1881. She was clearly a remarkable woman. It is believed that she was the only lady who ever wrote, read and illustrated her own drawings and diagrams a scientific paper before members of the Scientific Institution. Henrietta and Frederick moved into No.4 Maids of Honor Row on Richmond Green sometime around 1869. It was an imposing Georgian house which certainly set her apart from others. For the last two or three years of Lyttons life, he lived in Torquay nursing ill health. 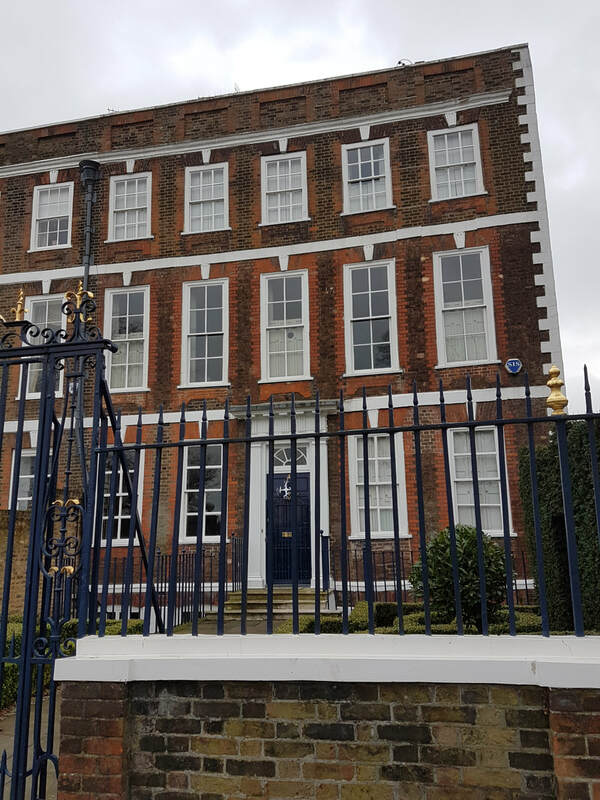 It is not clear if Henrietta maintained her relationship with him until the end or if by this stage she had gone back to Frederick and thus the reason for them buying a property in Richmond. Maids of Honor was built around 1720 and strong comparisons have been drawn with the houses built around the same time in Montpelier Row, Twickenham. It seems they did not stay in Richmond for long and soon headed for Twickenham. An equally imposing row of terraced houses built by Captain John Gray. She was clearly making good money from her propeller as she soon became a property owner in Twickenham and purchased several houses in Montpelier Row. ​She owned four neighbouring houses and became embroiled in rivalry with a nearby neighbour. Henry George Bohn lived opposite in North End House and was a well-known publisher and collector. Through letters sent to the Richmond and Twickenham Times, they were often embroiled in a heated discussion over the houses that Henrietta bought and subsequently sold to Bohn. No’s. 4 and 5 were converted into one, now known as Seymour House. Perhaps this was named after her connection with the Seymour family and also as her grandfathers name was also Seymour. No’s.1 and 2, were known as Bell House and St Maur’s Priory and both of these properties had gained their names from Henrietta. However, by 1880 she only had No’s 1 and 2 in her possession having sold the others to Bohn for a profit. The 1881 census, shows that Frederick and Henrietta were living at No. 1 Montpelier Row whose main frontage, at that time was on the Richmond Road. You can see today a blocked up door on the side elevation of No.1 Montpelier Row facing onto the road. Perhaps this was originally the main entrance. A similar entrance can also be seen at the other end of the row on No.15 which faces onto Chapel Road. Part of St Maur's Priory was built using old debris from the ruins of the Old Priory in Hounslow, where her mother had spent much of her childhood with Lady Estcourt. 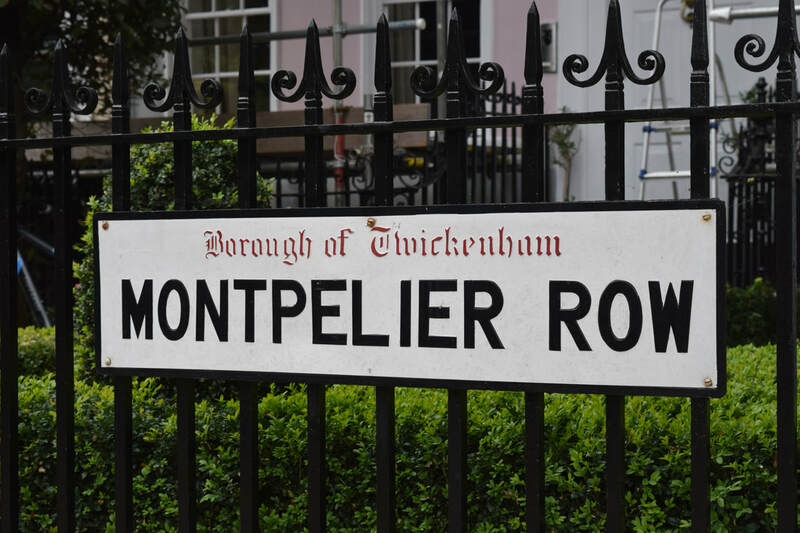 There was some argument with the local council in 1879, as the row had been changed to Montpelier Road, to which Bohn took great displeasure and wrote to the Richmond Twickenham Times. 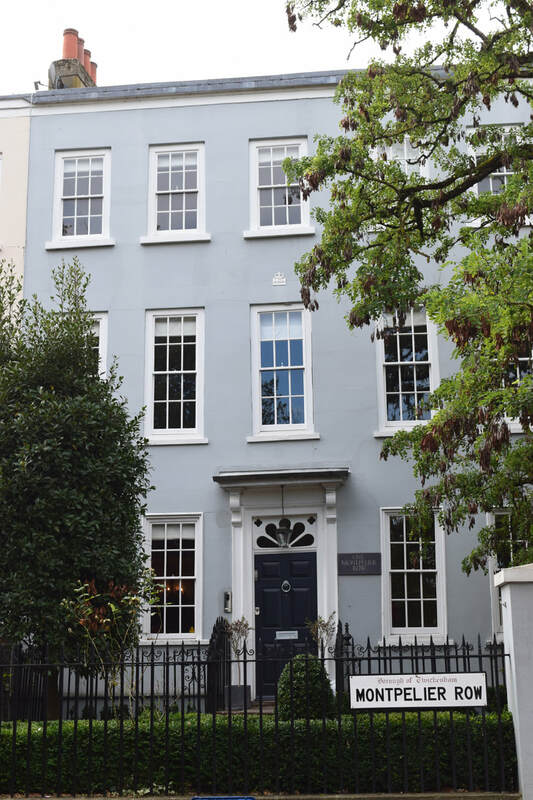 He consequently erected a sign on the front of the wrought iron railings of No 1, Henrietta’s house which stated Montpelier Row, He claimed that this was agreed with Henrietta. However, to his annoyance, early one morning he spied from his house, Frederick at the top of a ladder, painting the sign out! It is interesting to note that the sign still carries Borough of Twickenham on top, which has not existed as a borough since 1965. The letters went much further than the sign and became an attack on each other. Bohn went into details of Henriettas mortgages and purchases and insinuating that she had lied about certain things and was also trying to extract money for no reason out of the sales of her houses. Bohn accused her of allowing her properties to deteriorate and ruin the essence of the row. Henrietta claimed that she had spent thousands on improving the row. She stressed that she has done more for the neighbourhood than Bohn had ever done – keeping up with the Jones of the Victorian age. Indeed, what obviously had been private discussions seems to have reached a head in 1879/1880 as both wrote backwards and forwards to the paper airing their grievances of one another’s behaviour over several years. A very public affair! Sadly Henrietta met a very unhappy end. In the autumn of 1883, she attended the North East Coat Exhibition of Naval Architecture and Marine Engineer at Tynemouth. Soon after, she was found wandering the streets in a very confused state of mind and was consequently committed to Tyne City Lunatic Asylum. She died early in 1883 of anthrax and mania. Shortly before she died Henrietta had chosen not to renew the patent for her propeller. One wonders why not as she had done so since the 1860's. Perhaps the fee of £850.00 put her off. After all it would have meant spending her entire fortune on the patent leaving her with very little. Perhaps the fear of losing her life’s work was just too much for her. She left £821, 2, 8d to her husband in her will. he left Twickenham and moved to 80-81 Castle Street, Reading - a house which had belonged to the Vansittart for some years. A sad end to a woman whose life was certainly remarkable. Women are rarely recognised as engineers in the Victorian era, and Henrietta is certainly worth remembering. In her obituary published in the journal of the London Association of Foreman, Engineers and Draughtsman they wrote 'She was a remarkable personage with a great knowledge of engineering matters and considerable versatility of talent...how cheery and thoughtful for the happiness of others, she was helping she was the only lady, it is believed, who ever wrote, and read a scientific paper, illustrated with diagrams and drawings, made by herself, before members of a scientific institution.